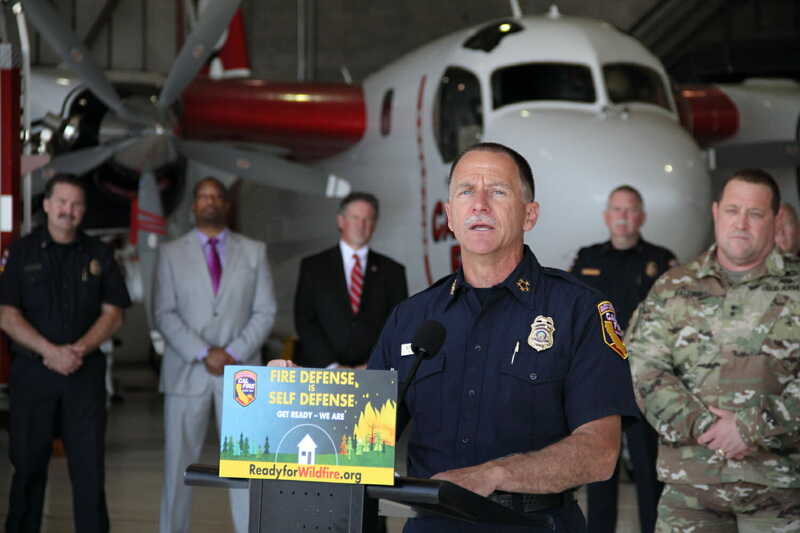 SACRAMENTO, Calif. May 8, 2018 – Governor Brown declared May 6-12 “Wildfire Awareness Week” to urge homeowners that Fire Defense is Self Defense, Get Ready – We Are! 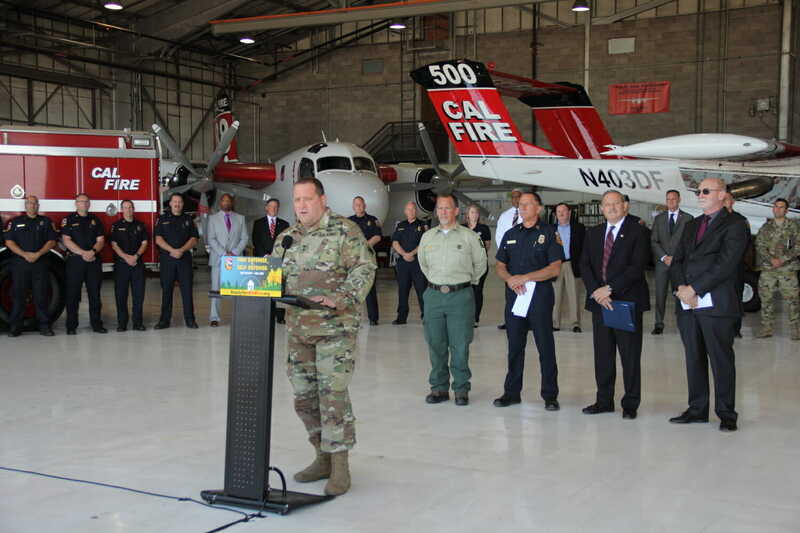 The kickoff event was held at CAL FIRE’s McClellan Air Base on Monday with CAL FIRE, Cal OES, California National Guard, Forest Service officials along California Secretary for Natural Resources John Laird addressing the challenges for the upcoming high fire season. Cal OES Director Mark Ghilarducci and California National Guard Colonel Baldwin reiterated the readiness of their resources and the cooperation between agencies. 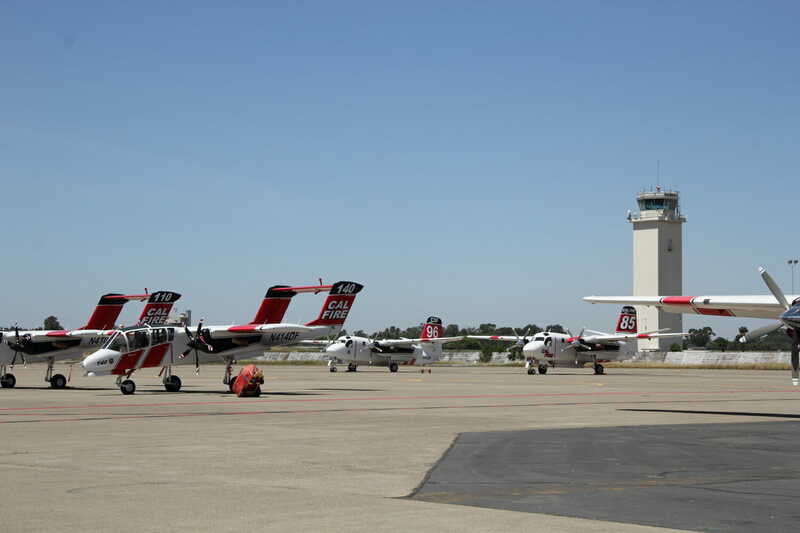 Last year’s October fires in the Sierra and the Wine Country as well as the Thomas Fire in Southern California in December serve as a stark reminder that fire season is now year-round. 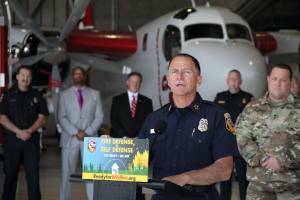 Chief Pimlott had a message for Sierra Nevada Foothills residents specifically. 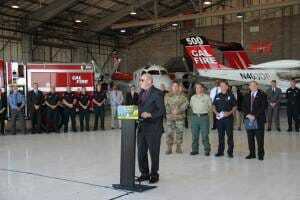 “If you live in the Sierra Nevada, you know the risks, you know fire. The time to prepare for the next fire is now. The grasses are continuing to dry, you need to prepare now. 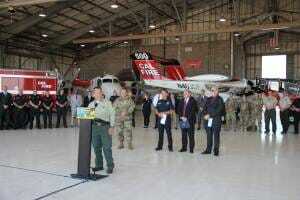 We are going to lose the window to safely remove fuels here very quickly. Be mindful when you use metal blades that can create sparks and ignite a fire, but please don’t wait to do the necessary work. 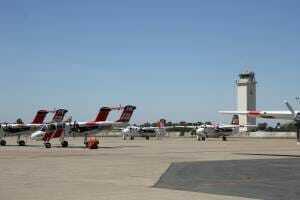 Now is the time.” Pimlott told YubaNet. Forest Service Region 5 Fire and Aviation Director Bob Baird joined the state agencies in reminding everyone that fire knows no boundaries and interagency cooperation in California is second to none. 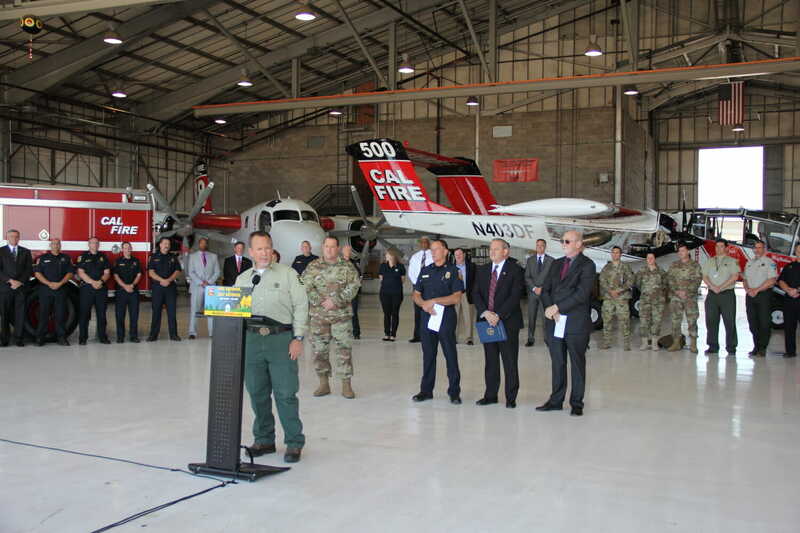 The Forest Service recently held their MAFFS training with the California National Guard and more joint training opportunities are coming up.